The second book in the Gatekeeper trilogy which is set on the third season after Revelations and before Lovers’ Walk. The Gatekeeper in his house in Boston is responsible for keeping dimensional rifts closed and imprisoning all monsters which have managed to slip into Earth from other dimensions. However, he is getting older and weaker. A cult of robed men called the Sons of Entropy have taken advantage of that. Their feared leader Il Maestro has commanded them to attack the Gatehouse and capture Buffy for his own sinister purposes. Buffy and her friends defended the Gatehouse from the attacks earlier but now they have more important task: to find the Gatekeeper’s eleven year old son who has been kidnapped. The boy had been in a school in London and time is short, so Buffy, Angel, and Oz use the Ghost roads to get to Britain in just a few hours. There, they are contacted by a man sent by the Watchers Council. Unfortunately, the man is a spy and sends the trio to a trap. However, the boy isn’t in Britain so the trio will have to do a road trip around Continental Europe. Meanwhile, Giles, Willow, Cordelia, and Xander defending Sunnydale. Dimensional rifts are opening up and Willow uses her spells to seal them. One rift even opens into the Summers’ house and Joyce has to confront a supernatural threat. Also, the Flying Dutchman has broken free from the Gatekeeper’s bindings and is gathering live people to kill. However, the Sons of Entropy don’t know that their Maestero is just a pawn. 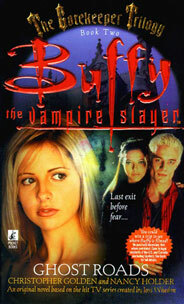 Il Maestro serves a demon who demands a sacrifice: Buffy or the Master’s beloved daughter. The Master is a vile man who has served evil for centuries. He enjoyed killing and torturing other people. Yet, he loves his adopted daughter and would like her to be his successor to the all-male Sons of Entropy. Again, there’s a lot of action. Buffy, Angel, and Oz battle various creatures and groups of Sons of Entropy. Some of the Sons are low level sorcerers but powerful enough to give our heroes a lot of trouble. 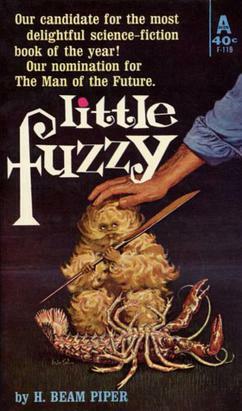 There are also more horror in the book than is usual for Buffy: the Flying Dutchman flies around and kidnaps people. This is often told from the point-of-view of the kidnapped, and to-be-killed, men and women, and so it’s more horrific because they aren’t the main characters and anything can happen to them. There’s a great sequence with the Dutchman and one of the regular characters. Also, since the Sons of Entropy are human Buffy’s gang is in fact killing and brutally wounding them which is quite different from the show where the villains tend to be various monsters. Cordelia’s, Xander’s, and Willow’s parents are talked about several times which a bit unusual. The Scooby Gang stays out long into the night, battling evil, and are worried that they are going to be grounded until graduation. Cordelia and Willow also have a nice bonding moment which we didn’t really see in the series and is very ironic considering what happens in the episode follow the book. Buffy and Oz also talk more than probably in the series as a whole. Spike and Drusilla have kidnapped the boy and are holding him. There are a few scenes with them but putting them on the cover is almost false advertising. Again, Faith doesn’t make an appearance. The Ghost roads weren’t used much which was a bit disappointing. Only people with a connection to the supernatural can walk them and that’s why Buffy, Angel, and Oz are the only ones to use the roads. Apparently, being a witch doesn’t count. Unfortunately, the Ghost roads are declared immediately very dangerous and not to be used lightly, so the trio uses a car most of the time. In the first book, Angel was confronted by Jenny and I would have loved to see more of that sort of character torture. Alas, it didn’t happen. The ghosts attack the trio, when they try to use the roads, and demand to be let back into the world. Of course, Buffy couldn’t let that happen. Also, there are monsters walking the Ghost roads. The book ends is huge cliffhanger! I like to read reviews, memes, and some personal posts. Of course, people are cautious about posting personal stuff and they shouldn’t post anything they aren’t comfortable with. I love dogs so I like posts about them. One of the essential things is that the blogger reads at least one genre I’m interested it. (Why would I read about books I’m not interested in?) However, most of the book bloggers I follow these days review books (increasingly?) about genres I’m not terribly interested in. I just visit them less often when that happens. For example, the Book Smugglers have a great, chatty, pop culture book blog which I adore. Increasingly, they’ve reviewed YA and I just skim those posts. Come to think of it, my favorite posts from the Smugglers aren’t reviews but other stuff such as the yearly review and airing of grievances, and when they talk about current events, such as the “relationship” between publishers and bloggers. I also enjoyed their posts about Lost. So, what attracts me to a blog is: genres, chatty style, humor, pop culture old and current. I also loved a couple of Book clubs last year, the Women of science fiction and Women of fantasy, reading other readers thoughts about the same books. Unfortunately, the bloggers stopped posting. Creating good content and especially consistently is hard work for little or no reward. Thank you, all of you! 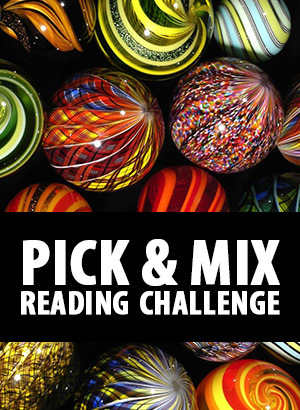 Book Smugglers, Book Chick City, Fantasy book Critic, Stainless Steel Droppings, ScifiGuy, Science Fiction and Other Suspect Ruminations… check out the sidebar. First book in the Gatekeeper trilogy which is set on the third season after Revelations and before Lovers’ Walk. Buffy, Willow, Oz, Xander, and Cordelia are “enjoying” the Amateurs night at the Bronze. When Angel joins them, Buffy is feeling lonely and leaves. The rest of the gang follows her. Outside, they are attacked by a large creature which breaths fire. Xander tries to protect Cordelia from it but Buffy shoves him to the ground. Cordelia’s hair is burned and Xander is really mad at Buffy because apparently he still wants to be the big man around. The creature flees. Giles is in New York in a Librarians’ meeting so the gang start to research with out him. They find out that the creature is a demon called the Springheel Jack. Then clear skies start to thunder so loud that it feels like the sky is falling. Meanwhile in New York, Giles meets a beautiful, intelligent, and sophisticated Micaela Tomasi and enjoys an evening with her. He’s starting to think that he might get over Jenny’s death. Then, his room is ransacked and he’s pushed down stairs so that he’s in hospital for several days. When Buffy finds out, she seriously considers flying to NY but reluctantly decides to defend Sunnydale against more than the usual monsters. Trolls are kidnapping people and the Kraken has attacked local fishermen. There’s also a rain of toads. Micaela confesses to Giles that she’s a Watcher and she’s been sent to keep an eye out for Giles because several Watchers have been killed. Giles is disappointed and concerned. Then Micaela disappears and Giles returns to Sunnydale. However, Giles is convinced that all of the chaos has been happening because something nasty has happened to the Gatehouse in Boston. The Gatekeeper is the man who is supposed to imprison creatures from other dimensions. Giles, Buffy, Xander, and Cordelia fly to Boston while Willow, Oz, and Angel defend Sunnydale. Out of the Madhouse has a lot of fighting and action scenes. Most of the time the gang is split up so that effectively doubles the fight scenes. However, there’s time for a few character scenes as well. Most of the time Xander makes it obvious that he hates Angel but there’s one scene where they sort of bond over fighting a troll. Except when Xander calls Angel “Dead Boy”. There’s also a great scene between Willow and Joyce, Buffy’s mother. They don’t interact much at all in the series so it was great to have them together, even though they ended up worrying about Buffy. The characterization is mostly spot on. The gang is pretty focused on the upcoming graduation and Buffy is depressed because she can’t have a life after graduation. It’s also disappointing to her mother, even though Joyce seems to be mostly in denial about Buffy being the Slayer. I have only a couple of complaints. Oz talked too much but this could be because it’s harder to convey just body language in a book. The gang was a bit too accepting of Angel; the book is set right after Revelations where the gang finds out that Buffy has been harboring Angel, and yet everything is pretty much the same as before Angel went Angelus. Willow has a few angsty thoughts but that’s it. Also, no Faith! Surely, she should have been in the thick of things, fighting. The Gatehouse is an interesting concept but it’s perhaps a bit too big for something which is never spoken of before or after. The same goes for some monsters, too. I really enjoyed the concept of the Ghost Roads where the spirits of (some?) of the dead are waiting for their passage to afterlife. I can’t wait to see more of in the next book. But once again, it’s very uncanonical. The book has a handful of short historical scenes, which are integrated into the story. The first is set in 1539 in the Court of King Francis I. Two sorcerers are trying to get power in the court by influencing the Daphine, Catherine de’ Medici. She’s still childless and desperate to try anything. One of the sorcerers kills a Slayer in order to get power. Later, we get diary entries from one of the sorcerers. I enjoyed these. This is definitely a book for Buffy fans, though. There’s not much explanations for people who’ve never watched the show. Collects Tom Strong 26-30 with the original covers and concept art. The first story is “The Day Tom Strong Renegotiated the Friendly Skies” and starts with Tom firing up the first motorized plane built by the Bumpfoli brothers. He’s agreed to fly it in festivities celebrating a hundred years of powered flight. Unfortunately, the plane crashes only seconds afer take off. In fact, planes all over the world are coming down and not getting up again. Tom remembers his father’s notes about flight. Sinclair, Tom’s father, had been fascinated with powered flight but nobody had been successful with it until 1903 when Sinclair ingested massive amounts of goloko and rose to the skies in his high altitude balloon. When he came back, he claimed that he’d made some sort of pact which would make flight possible for humans. Tom and Dhalua have no choice but to try the same thing. This was a very interesting concept and made Tom’s world clearly different from our own. I would have wanted to know more about the people introduced here. 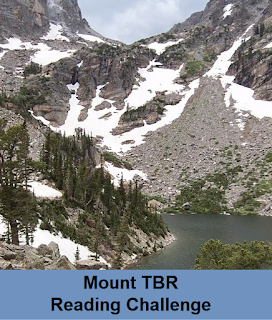 The story has a strong environment message. “Jenny Panic & the Bible of Dreams” introduces a new antagonist who doesn’t even know she has powers. The Millennium City police finds a skeleton stuffed with money. Apparently, he was a rich guy who insulted a waitress. When the rich guy is walking home, he’s confronted by a see-through woman who transports him into a place where there’s nothing else than dollar bills. Eventually, he dies. A man with a flower bud for a face, asks to see Tom and his wife Dhalua. Mr. Hatfill tells that he’s from a dream dimension which was created by a woman who doesn’t even know she’s done it. She’s a gateway to that dream dimension. Tom agrees to find the mystery woman. This is another surreal story with dream like logic. The woman is angry about how people treat her and is defending herself with her unconscious power. However, she’s quite powerful and needs to be stopped. “A Fire in His Belly” focuses on Pneuman. The story starts when Pneuman is considering killing Tom. Pneuman claims to access his memories randomly, remembering his life first with the Strongs and then with Tom’s family. Sinclair seems to have treated Pneuman like a robot. When Susan talks to Pneuman in a friendly manner, Sinclair forbids it. Then Sinclair tells Susan that he intends to raise Tom in the high-gravity nursery and that Pneuman will have to do most of Tom’s raising because the gravity will be too high for the parents to enter the nursery. Susan has no choice but to trust to Pneuman. On the day Susan dies, she makes Pneuman promise her something which will drive the poor creature to contemplate killing. Pneuman also remembers a fight with the science villain the Eye-Opener who can bring characters from paintings into life. This was an interesting concept but probably not worth more stories unless Tom takes to heart the Eye-Opener’s claim that all painted characters are really alive and trapped inside paintings, and decides to do something about it. Pneuman is often just a side character in Tom’s stories. This is a sad story about the conflict in Pneuman’s life. However, he isn’t particularly original or interesting character. He seems to be fully alive and have a conscience but he’s not as complex as, for example, Data. Here, he wrestles with his conscience but doesn’t really talk about it with his friends. The last two issues are a two part story “The Terrible True Life of Tom Strong part 1 and 2”. Tom, Tesla, and Solomon are chasing Eldon Morovia who’s another genius science villain. Morovia is a treasure hunter looking for powerful artifacts from ancient civilizations. This time, he in the Andes. Tom and Tesla attack Morovia’s underlings while Solomon stays on the flying saucer to research the secret history logs. Tom and Tesla find a tomb opening and Solomon identifies it as a Mayan tomb of the Shaman King Kukulkan. Of course, the Andes are Incan territory so the tomb shouldn’t be there. Near the end of the first issue, it’s reveled that Tom Strong is just a figment of imagination and the real Tom is Tom Samson, a bitter and depressed construction worker. He’s married to a woman he doesn’t even like and stuck in a dead end job with no friends. Another one I have mixed feelings about. On the one hand, most of the first issue had an excellent Indiana Jones like feeling going on when Tom and Tesla are crawling though the dusty corridors and avoiding traps, and I adore that. But I really, really don’t like the stories where the hero/ine is just an imaginary construct thing. At all. The story gives a more real life origin story for Tom and I guess that’s great for people who prefer that. Overall, I really liked only the first story. 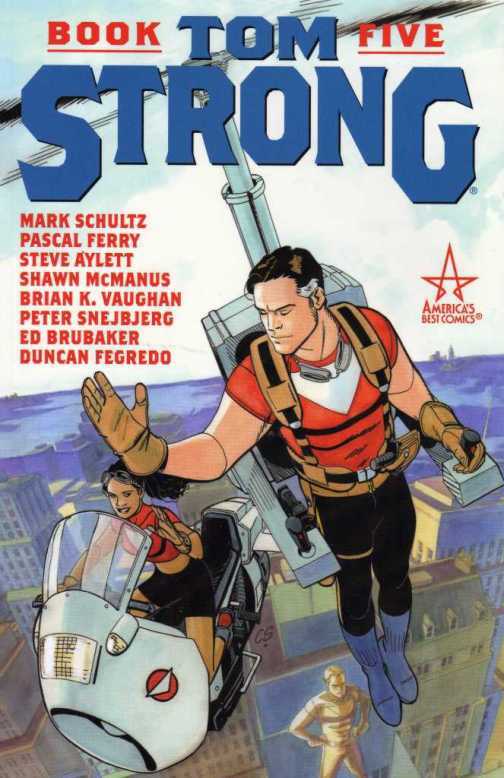 These are stand-alone stories without much continuity so they can be easily skipped unless you really like Tom Strong. For that matter, do you ever READ fan-fiction?? Well, that depends. If you change the names but everything is still recognizable, is it fan fiction? 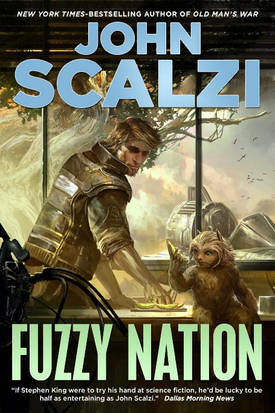 I’ve read a few short stories at FanFiction.net about Drizzt and company, Star Trek: TNG and DS9, and Stargate. Most of them were ok but nothing spectacular.